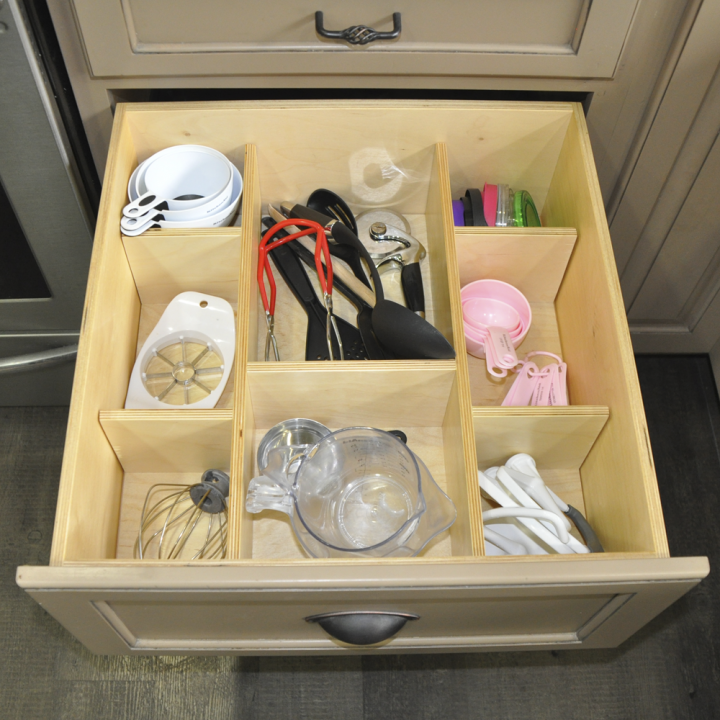 Drawer Organizers to simplify your life! 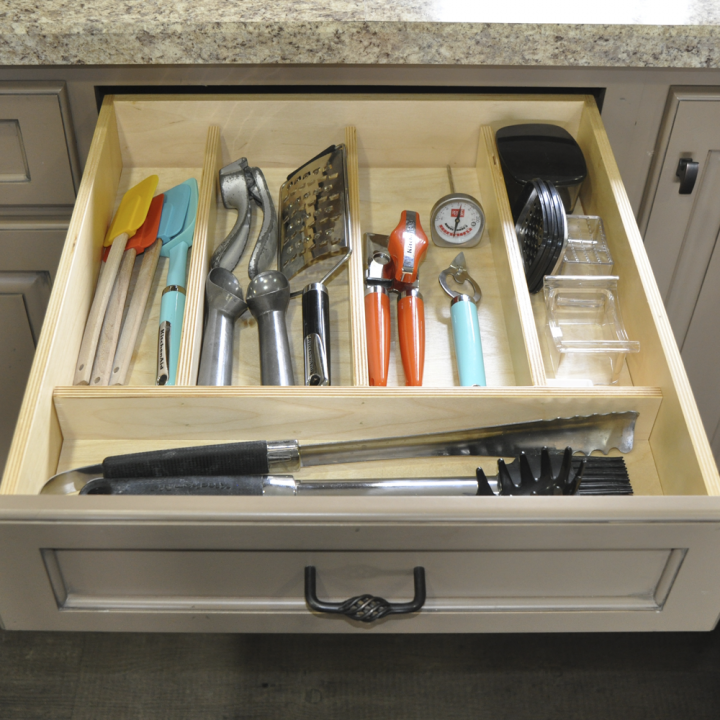 Drawer organizers custom built to fit your space and needs! The people at DrawerHarmony have been kitchen designers, builders, and users for many years and know the frustration of unorganized drawers in our kitchens, bathrooms and laundry rooms. DrawerHarmony is about living in an organized way. 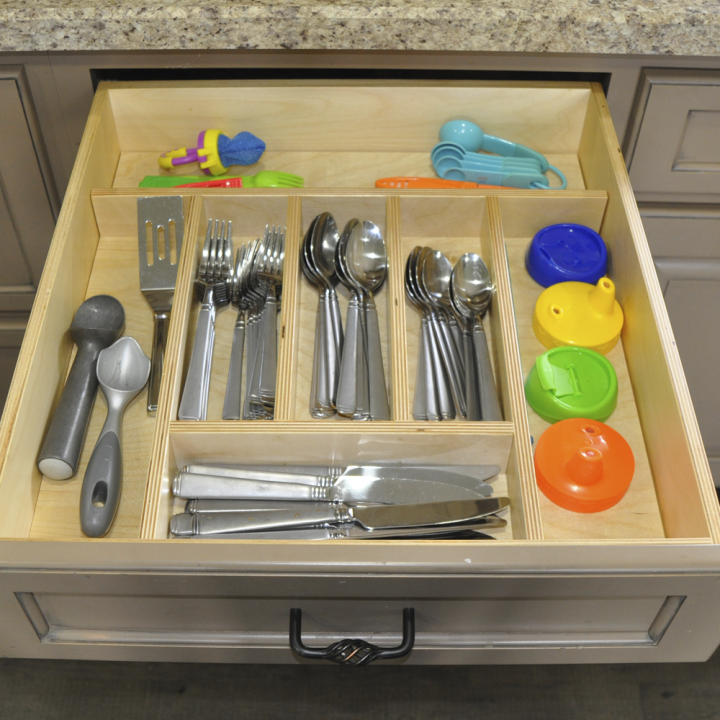 We do this by providing drawer organizers custom built to fit your space and needs. 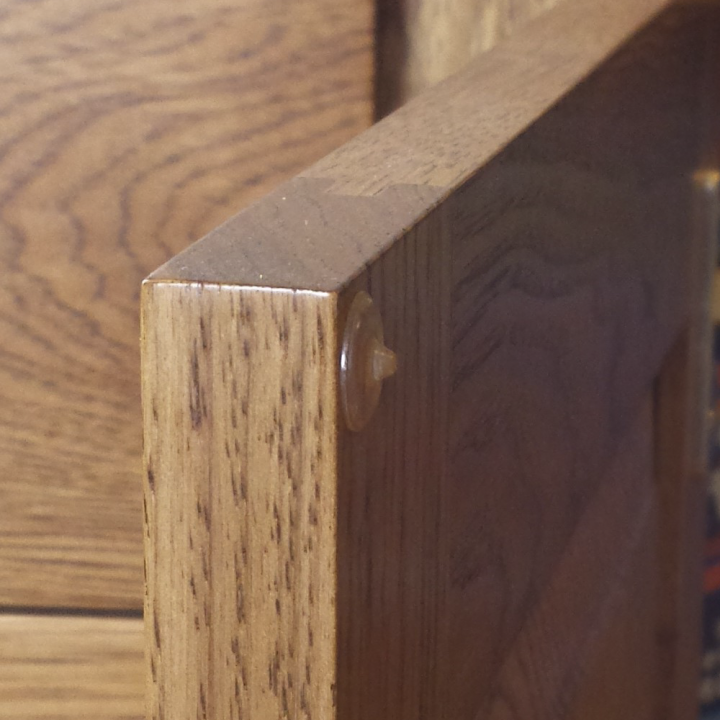 We strive to provide you with items to make your home fit you and allow you to live life more simply and efficiently. All of our products are of the finest quality, made in America, and custom built to your specifications and then delivered to your door in a timely fashion, usually 10-14 business days from the time you placed your order.